Posted in: 1 Pageant Pages, 2 Shout-out-Looks. Tagged: Catriona Gray, Christian Lacsamana, GMA-7, Hillarie Parungao, John Raspado, Manila Hotel Tent City, Miss World Philippines 2016, Mr. 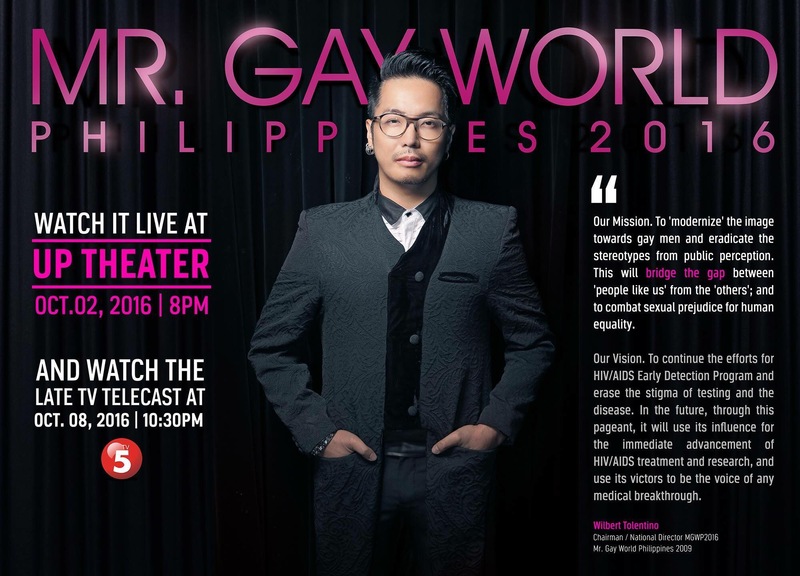 Gay World Philippines 2016, TV5, UP Theater, Wilbert Tolentino. Tonight, two national pageant finals will be held almost simultaneously – Miss World Philippines 2016 at the The Tent City, Manila Hotel and the Mr. Gay World Philippines at the UP Theater. The top winners for each will represent the country in Miss World 2016 and Mr. Gay World 2017. Eager to find out who will come out as #1 but won’t be able to watch the actual proceedings? No need to worry. 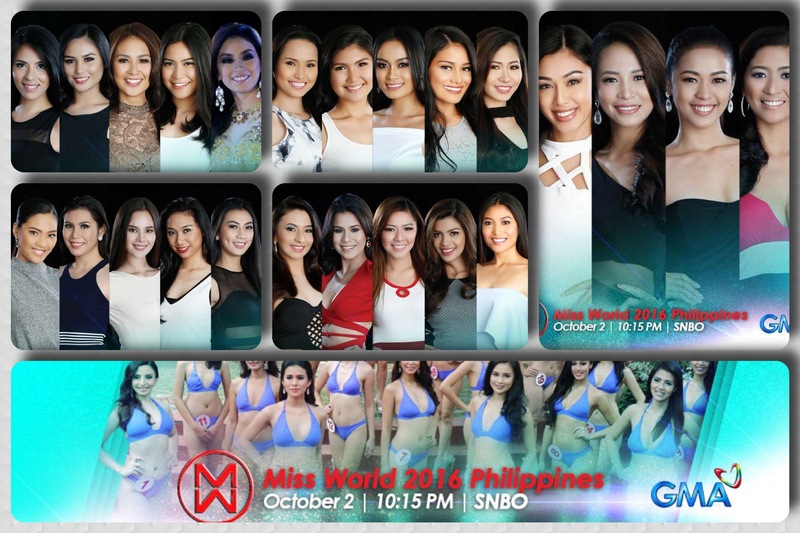 Miss World Philippines 2016 will have a TV telecast over GMA Network starting at 10:15pm, while Mr. Gay World Philippines will be live-streamed by Rappler (see link below plus a scheduled airing on TV5 on October 8).